Jeremiah Small, 33, was shot by one of his students who then killed himself, in a rare act of violence in Iraq's most peaceful region. SULAIMANIYAH, Iraq — The quarrel at a Christian school was at first easily ignored by other students: a disagreement between a classmate and a teacher that could barely be heard. 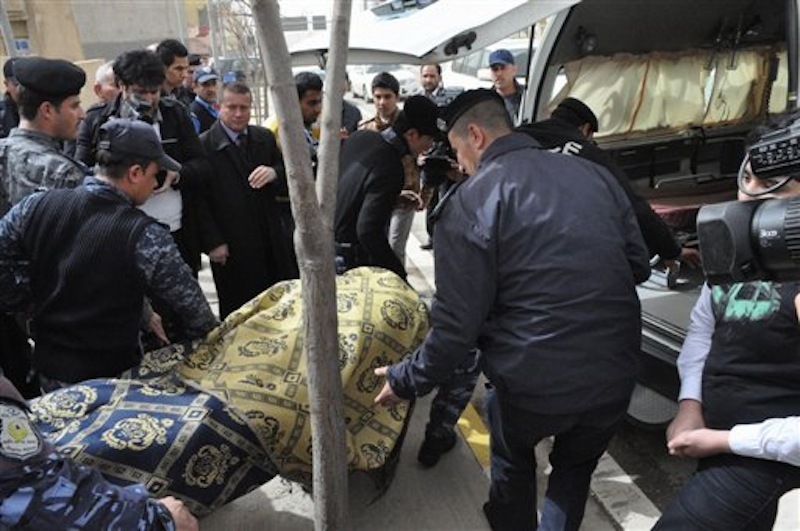 But it quickly escalated into gunfire Thursday in a murder-suicide marking the rare violent death of an American in Iraq’s most peaceful region. Small, 33, was from Cosmopolis, a town in western Washington state near the coast. His father, J. Dan Small, confirmed the death on his Facebook page. “Our oldest, Jeremiah, was martyred in Kurdistan this a.m.,” the elder Small wrote. The father, however, told The Daily World in Aberdeen, Washington, that his children “have been in touch with students over there who were in the classroom and it did not happen as is being represented,” without elaborating. The Medes program runs three schools in the provinces that make up Iraq’s northern Kurdish region, boasting an enrollment of about 2,000 students. According to the schools’ website, American staff often teach one or two courses each semester. 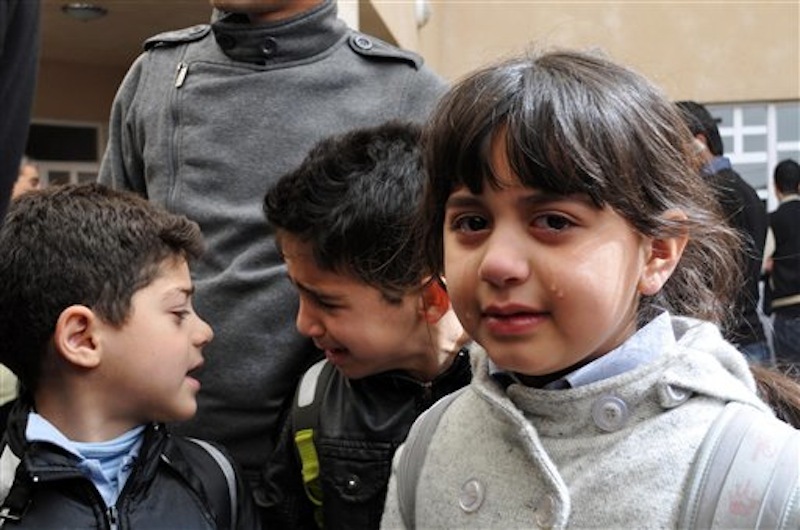 An estimated 95 percent of the students are from Kurdish Muslim families. “Maybe the student had mental problems,” Saleh said. Jeff Dokkestul, a Servant Group International board member, said Small was one of nine American teachers at the Sulaimaniyah school, which he said is run by Iraqi Kurds. Although Dokkestul said the groups’ teachers are Christian, he maintained that they do not proselytize their students. Sulaimaniyah is located in Iraq’s comparatively peaceful Kurdish region, 160 miles (260 kilometers) northeast of Baghdad. The Kurdish region has generally been free of the bombings and shootings that have plagued the rest of Iraq in recent years. Foreigners, including American citizens, usually travel freely around northern Iraq without the armed guards or armored vehicles often used in the rest of the country. A team from the U.S. consulate in Irbil, the Kurdish region’s capital, was in Sulaimaniyah to identify Small’s body but was unable by Thursday night to do so.